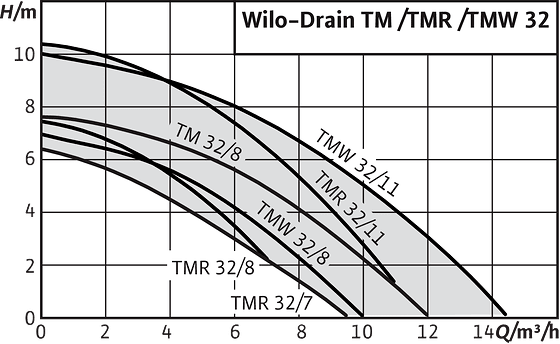 Wilo-Drain TM/TMW/TMR 32 | Wilo Philippines - Your local partner to serve and supply with custom-tailored solutions and products as quicky as possible. Submersible pump for stationary and portable wet-well installation in fully automatic mode with attached float switch. 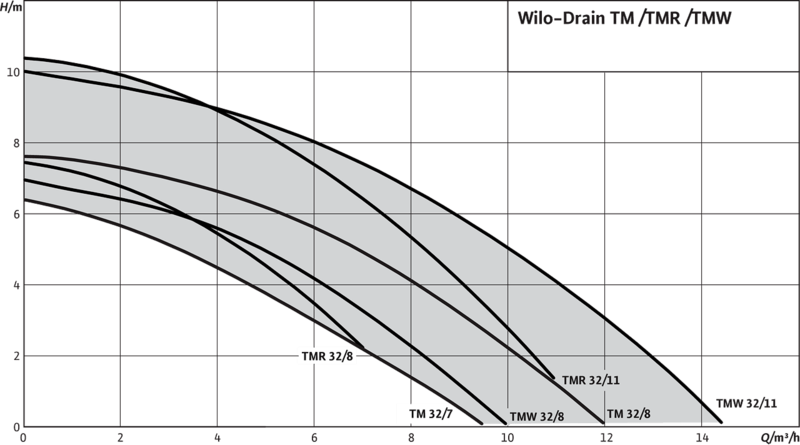 The pumps of the TM series are equipped with a multi-channel impeller and have a free ball passage of 10 mm (except TMR). The pressure connection is a vertical threaded connection. 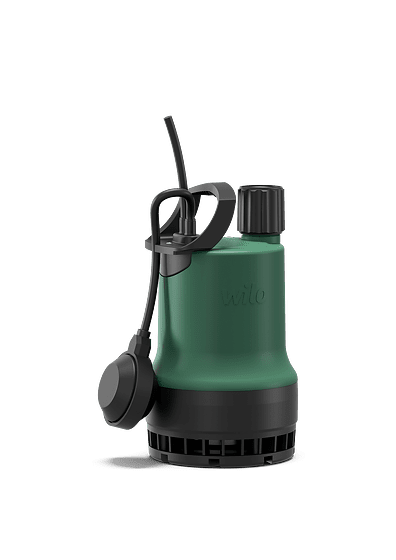 TMW The Wilo-Drain TMW twister function ensures continuous turbulence in the suction area of the pump, preventing the sinking and settling of settling sediments. This results in a clean pump sump and reduces the build-up of odours. The Twister function can be disabled. TMR The Wilo-Drain TMR special strainer enables pumping off of the fluid to a residual level of 2 mm. Submersible motor in single-phase version with sheath flow cooling(cooling by the pumped fluid between pump and motor housing) and built-in thermal overload protection with automatic reactivation. 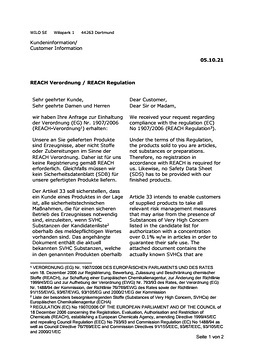 The seal is created on the fluid side by a mechanical seal, and on the motor side by a rotary shaft seal. A sealing chamber with a white-oil filling is located between the gaskets. The pump is equipped with a 3 or 10 m connection cable with shockproof plug and an attached float switch (not TM 32/8-10M).